How To Start Your Day Enthusiastically! The first few moments of the day are critical in setting the tone of your day. And how you start your day is mainly a matter of choice. I don’t leave my morning start to chance—and you don’t have to either. 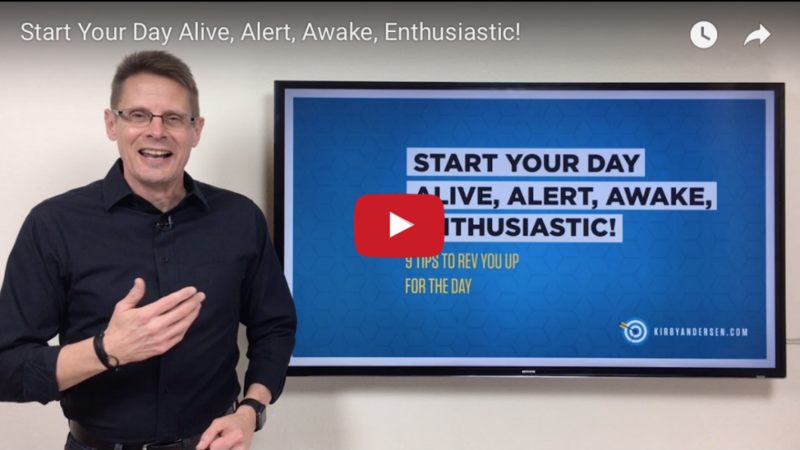 This week’s video, Start Your Day Alive, Alert, Awake, Enthusiastic!, will help you get a good start everyday. How to program your mind for a better start. How to win the battle of the mattress. Why the first words out of your mouth are so important. 3 different uses of water to rev you up! You can’t control everything that happens in a day—but you can control how your day starts. So make every day this week a better day by starting enthusiastically!